Click on the menu button in the map above for more or less detail by clicking on the topic or un-clicking it. By doing so you can select the type of activity you want to see on the map (they are all highlighted at the beginning - Thanks Google! - but to simplify the number of icons on the map you can de-select things like "shopping", "restaurants", "hiking" etc, and just see the locations for the type of activities you want to explore. For example to see the locations, names, and links to websites for our local restaurants, un-click other activities, then click in the map close to a cluster of restaurant icons to expand the map and zoom in for more detail. Clicking on a knife and fork icon for a restaurant gives you more information about that restaurant. Explore! Morning Star Cafe - In Beautiful Downtown (??) Palominas: Just 2 miles South of the Casa at the intersection of Palominas Road and Hwy 92 is a local cafe that is also serving up music on Thursday, Friday, and Saturday nights. Join the throng of locals who enjoy Western, Country, and Blue Grass music performed by some of our most talented local musicians. The Morningstar Cafe also serves casual fare and offers daily specials - Open Wednesday - Sunday. Check out their event Calendar! Our San Pedro River Arizona location is an ideal naturalist hideaway – perfect for birding, hiking, environmental study, or relaxing! Casa de San Pedro is located just 90 miles southeast of Tucson and 20 miles southeast of Sierra Vista in the San Pedro River Valley. At an elevation of 4230 feet, this area is one of the most comfortable regions of North America, featuring 350 days of short-sleeve weather per year. Summers are temperate, winters are comfortable! We have the premier year-round climate in the US. The San Pedro River (the BLM managed San Pedro Riparian National Conservation Area - SPRNCA) is a wonderful natural habitat that is accessible to hikers, nature lovers, bird watchers. The SPRNCA contains nearly 57,000 acres of public land in Cochise County, Arizona, between the international border and St. David, Arizona. The riparian area, where some 40 miles of the upper San Pedro River meanders, was designated by Congress as a Riparian National Conservation Area on November 18, 1988. 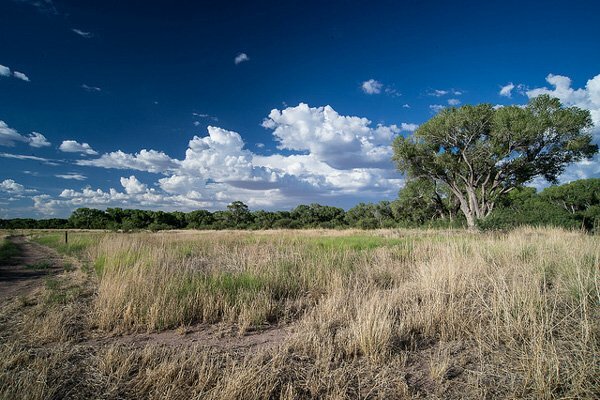 The primary purpose for the special designation is to protect and enhance the desert riparian ecosystem, a rare remnant of what was once an extensive network of similar riparian systems throughout the American Southwest. One of the most important riparian areas in the United States, the San Pedro River runs through the Chihuahuan Desert and the Sonoran Desert in southeastern Arizona. The river’s stretch is home to more than 80 species of mammals, two native species and several introduced species of fish, more than 40 species of amphibians and reptiles, and 100 species of breeding birds. It also provides invaluable habitat for 250 species of migrant and wintering birds and contains archaeological sites representing the remains of human occupation from 13,000 years ago. The area provides opportunities for wildlife viewing including birdwatching, picnicking, primitive camping, pre-historic and historic site visiting, hunting, hiking, fishing, biking, horseback riding, guided hikes, interpretive site visitation, and weekend children’s programs. Parking, interpretive kiosks and trailheads are located at Fairbank, Murry Springs, San Pedro House, Land Corral, Terrenate, Millville and Hereford Bridge. Parking and trailheads are also available at Hereford Road, Charleston Road, Palominas, Terrenate, Escapule and Lehner. The Friends of the San Pedro lead regularly scheduled guided walks. 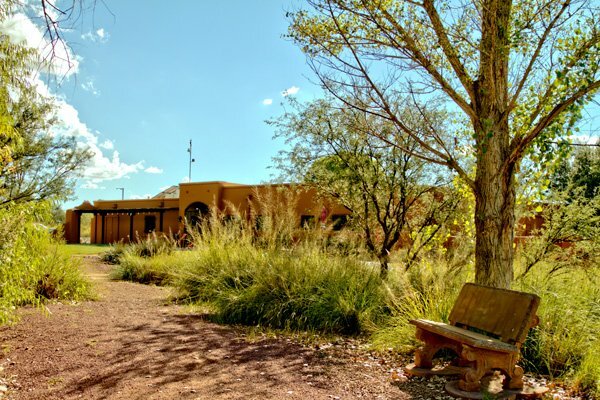 For those interested in southeast Arizona birding, Casa de San Pedro is centrally located, adjacent to the San Pedro Riparian National Conservation Area and is situated on 10 acres bordering the San Pedro River. The San Pedro River is considered one of the largest and most critical avian migratory corridors remaining in the western United States. The San Pedro Riparian National Conservation Area provides habitat for over 100 species of breeding birds, and provides water food and shelter for another 250 species of migratory and resident birds. In addition, the river supports one of the largest cottonwood-willow forest canopies remaining in Arizona and is one of the last free-flowing rivers in the Southwest. 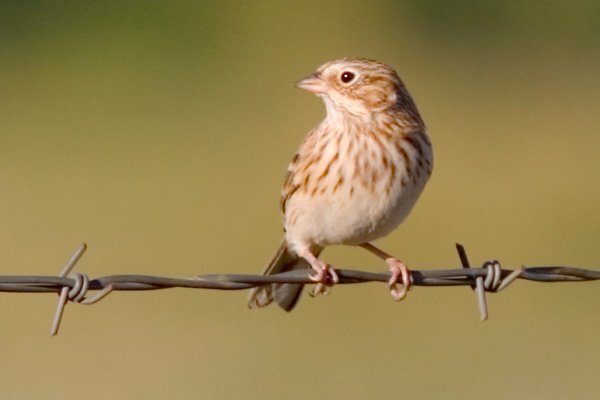 For more information on birding, please visit our birding guide, which will guide you to a successful birding adventure. Scenic mountain and riparian hiking and cycling trails are plentiful. In addition to enjoying the natural wonders of Southeastern Arizona you will also want to learn about its remarkable history. Many of our guests enjoy visiting Southeast Arizona’s many historical sites. This is where the old west still lives; visitors feel like they are reliving history through the remains of Old West ghost and mining towns. Geronimo, Cochise and the gun fight at the OK Corral all happened here. Past meets the present as well at Fort Huachuca in nearby Sierra Vista; founded in 1877 for the protection of local ranchers and miners, and the Fort is the only active army post remaining in Arizona from the more than 70 that once existed. 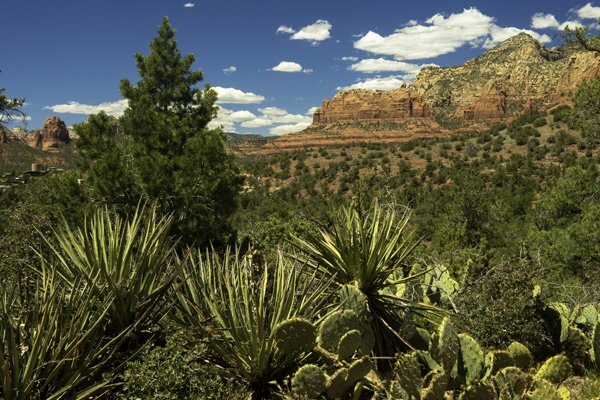 The Sky Islands of Southeastern Arizona create some of the most diverse hiking in our state. Where else can you take a hike in a deep canyon hidden from the sun and journey to the 9,500 foot summit of Miller Peak, with a view of the Mexican interior as far as you can see. Then come home to the comfort and peace of our inn. 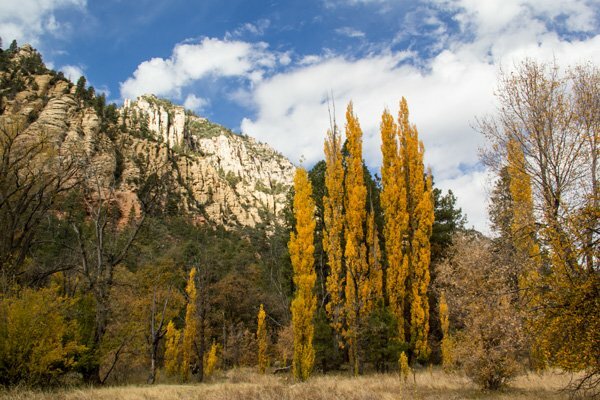 Hiking trails in the Huachuca Mountains offer great vistas, diverse fauna and flora and great exercise. 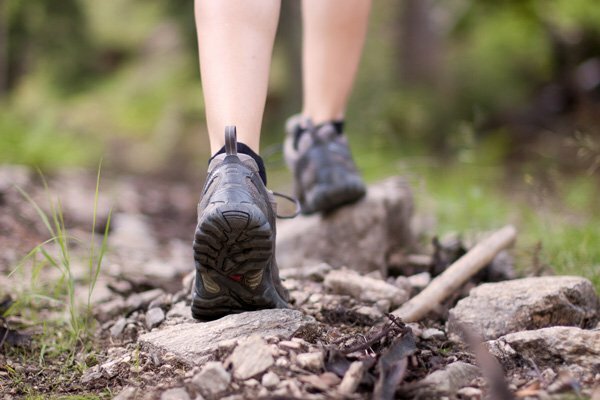 Enjoy our Arizona Hiking Trails in Sierra Vista. If you prefer a less strenuous hike, you can walk in the shade of the cottonwood trees along the San Pedro River, which represents the most extensive healthy riparian ecosystem remaining in the desert Southwest. This area has been designated by the Nature Conservancy as one of the “Last Great Places”. 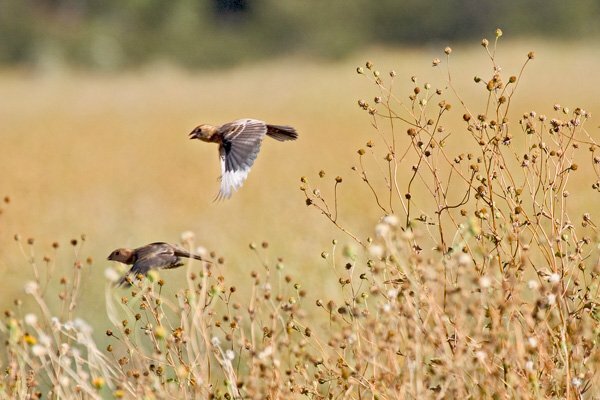 It provides habitat to hundreds of different species of birds and animals. 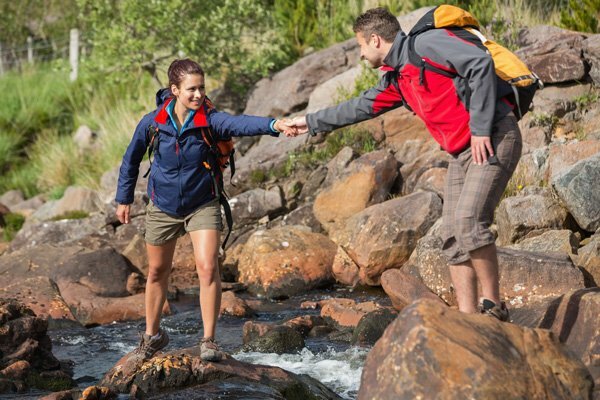 Two popular riparian hikes are described below. Casa de San Pedro: Enter the San Pedro Riparian Area 100 feet from Casa’s courtyard gate. Trails give you access to mesquite grassland and stream-side habitats. A popular hike with our guests is the four hour round trip to Hereford bridge. If desired, we can pack a lunch for your party to add to your enjoyment of this leisurely adventure. Please allow 48 hours advance notice so that we can supply fresh ingredients for your lunch. Casa guests have raved about their encounters with a variety of birds, butterflies and wild flowers. San Pedro House: On Highway 90 about 8 miles east of Sierra Vista, turn south just before the San Pedro River. The San Pedro House, is operated by the Friends of the San Pedro River. 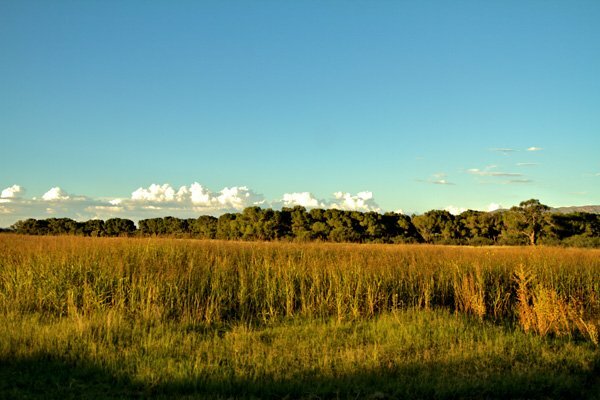 It is located in the San Pedro Riparian National Conservation Area and is the site where interpretive walks and other activities are coordinated. The San Pedro House also has exhibits, materials, a book store and a gift shop with nature gifts and other sundries. The gift shop and bookstore are open every day from 9:30 a.m. – 4:30 p.m., except Thanksgiving and Christmas. Let us introduce you to over twenty miles of GREAT trail biking and vistas from our back door along the San Pedro River, over the Hereford Bridge to the old Hereford Town site and Quarry. Bike further north along the East side of the San Pedro for several miles until you are ready to stop for a picnic on the river. Then reluctantly return to Casa with stories to tell about all the beautiful scenery and wildlife you observed. If your idea of a great bike excursion is to travel about 40 miles over fairly easy terrain, ride from the inn to Bisbee. You’ll have plenty of time to explore the old mining town, enjoy lunch at one of Bisbee’s great restaurants and return to the inn in time for a hot shower and rest before dinner. If you want a longer ride with more diverse elevations, take a trip to Tombstone. You’ll travel about 70 miles through some flat lands, canyons and mountains. If you need to stop along the way, you can pick from any number of historical or archaeological sites to enjoy a picnic or relax in the shade of the trees along the San Pedro. If you’d like a challenging ride on an unimproved county road, take off through the Coronado National Memorial to Parker Canyon Lake. It’s more of a mountain biking trip and your destination is a great fishing lake about 25 miles from Casa de San Pedro. Bring your own bikes. Or, there are bike shops in Sierra Vista that can rent road or trail bikes - you can call ahead and give them your order and they will pre-fit you to a bike that is right for you and for the type of rides you want. The bike shops also have area biking maps available. Southeast Arizona has several vital communities that offer good restaurants, art galleries, shopping, vineyards/wine tours, museums, and Old West History. During your visit to Casa de San Pedro you can partake in local festivals, tours, art gatherings and shop till you drop. Bisbee, Sierra Vista, and Tombstone all offer nearby events and attractions. We will be happy to provide you with more information when you arrive. Or you can relax at the Casa and enjoy our unique world class naturalist habitat while you rejuvenate your soul. Check out Bisbee's website for more information on the region.